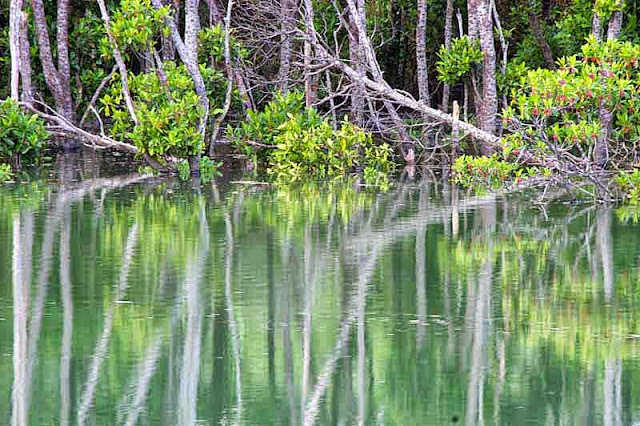 Mangrove trees only grow in tropical and subtropical coastal areas. They become flooded and drained, twice each day, with the movement of the tides. Mangrove trees survive in levels of salt which would kill most plants. They are home to many snakes, amphibians, fish, crustaceans and birds. The roots provide protection from predators for many young fish and crabs. They help stop coastal erosion along many shorelines around the world.